This year will mark the 50th anniversary of the creation of the Central Shenandoah Planning District Commission (CSPDC). In 1968, the Virginia State Legislature passed the Virginia Area Development Act which set forth the framework for the establishment of regional planning district commissions throughout the state, and on October 1, 1969, the CSPDC was organized. The CSPDC is one of 21 planning districts in the state and includes the five counties of Augusta, Bath, Highland, Rockingham, and Rockbridge, the five cities of Buena Vista, Harrisonburg, Lexington, Staunton, and Waynesboro, and the 11 incorporated towns within. The purpose of the Commission, as stated in the original Bylaws, is to assist the District’s localities in addressing local problems on a regional basis, as well as promoting economic and community development in the region in cooperation with Federal, State and local governments and organizations. That mission is the same today, and the 10 jurisdictions have greatly benefited from this cooperative effort for 50 years. Throughout the year, we will highlight some of our past accomplishments that have positively impacted our localities, improved the quality of life for our citizens, and enhanced diversification of the local economy. 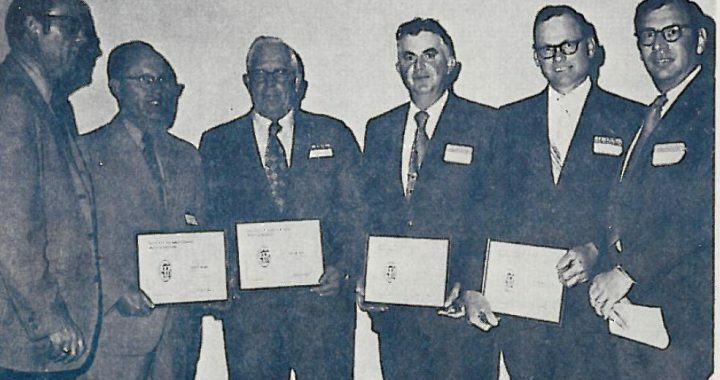 The picture above was taken from the CSPDC’s 1971 Annual Report and includes from left to right Commission Chairman, Charles Phillips (Lexington); Commissioners Lyle Koogler (Rockbridge County), Roy Cleek (Bath County), C.N. Wine (Rockingham County), John Moyers (Highland County), and the first CSPDC Executive Director, Ed Parcha.